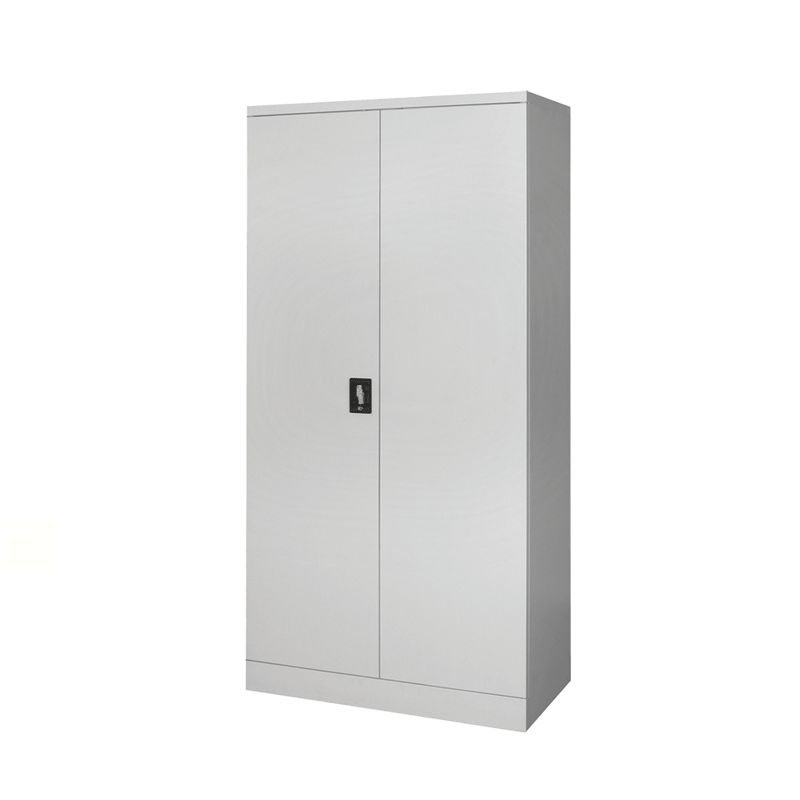 This is a large silver storage cupboard with double doors. Ideal for use at exhibitions and events, or anywhere that you need stylish storage to hold office supplies. Inside the cupboard you'll find 3 shelves.